We are well into the spring and in my region of the country the ticks seem to be more numerous this year. While most people consider those creepy crawly blood-suckers to be a nuisance, they can actually be devastatingly worse – spreading Lyme disease, a complex, chronic illness that many times is not properly diagnosed. 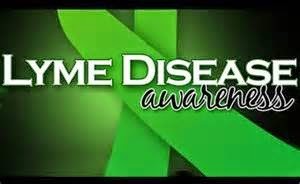 May is Lyme Disease Awareness Month; the perfect time to share information about this under-reported and poorly recognized disease that can disable causing arthritis, Bell’s palsy, radiculoneuropathy, meningitis, encephalitis, and in rare cases, cardiac arrest. 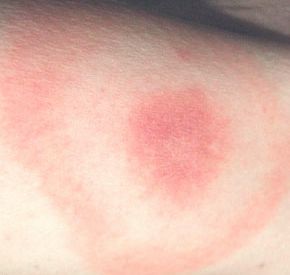 Symptoms flare up about a month after the initial bite and include inflammation around the tick bite that may itch, or not; the telltale bulls-eye rash is not always present. In fact, according to the U.S. Center for Disease Control, only three out of 10 people will exhibit the bulls-eye pattern. Flu-like symptoms are usually reported – headache, low-grade fever, muscle aches and fatigue. Unfortunately, Lyme disease can mimic several other illnesses like multiple sclerosis, Parkinson’s and Alzheimer’s, so misdiagnosis often occurs. Lyme disease affects the heart, joints, nervous system and skin. If not treated, the symptoms will flair up again within the next six months. One in 10 people develop abnormalities of the heart but the majority do recover. About 10% of patients experience neurological problems. The third stage of Lyme disease can occur from five months to five years after the bite and usually affects large joints like the knees and hips. Death can occur from Lyme disease. 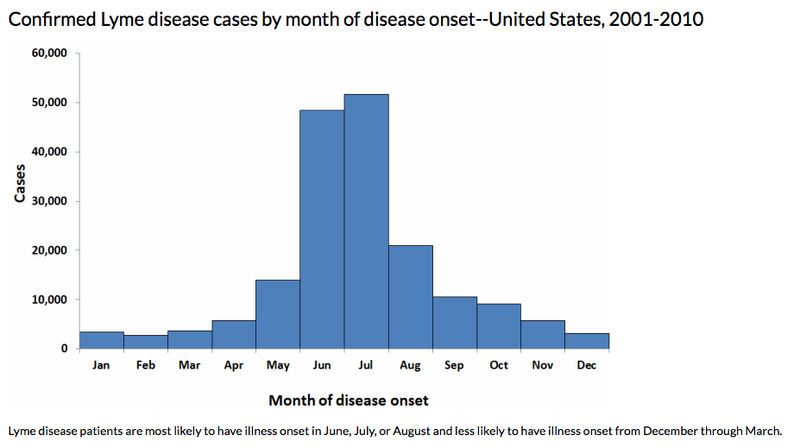 This chart from the U.S. Centers for Disease Control (CDC) shows the number of deaths that have occurred in the U.S. from Lyme disease and Rocky Mountain Spotted Fever (RMSF), another tick-borne disease, from 2002 through 2007. Lyme disease has been recorded in all 50 states in the U.S., but is most prevalent in the northeastern part of the country. This map indicates the number of reported cases from 1990 to 2013. The worst areas affected include New York with over 100,000 cases reported within the past 23 years; Pennsylvania has had almost 77,000 cases; Connecticut reported almost 62,0000 cases, and New Jersey has had over 59,000 cases. The Midwest is also being affected, especially in Wisconsin with almost 29,000 cases, and Minnesota with just over 19,000 cases reported. 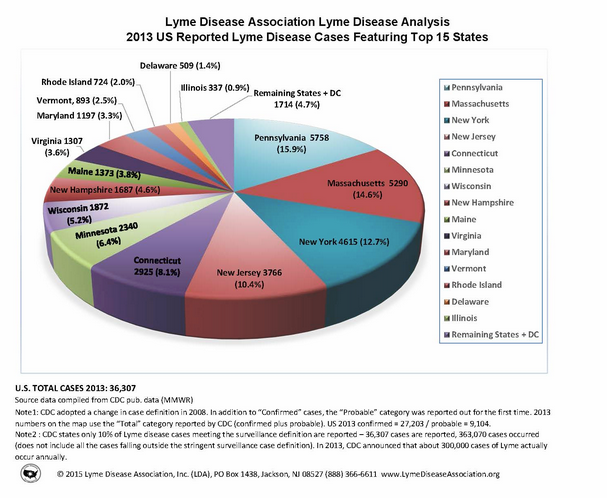 The top 15 states battling Lyme disease are shown on this 2013 diagram. 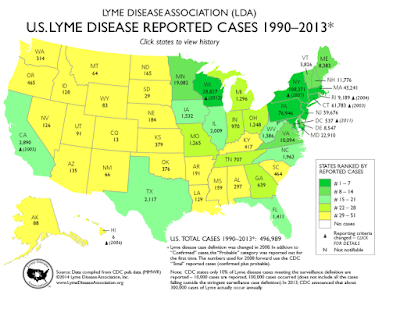 Lyme disease is not just a rural problem, anywhere there is tall grass or woodsy areas; think your local park, walking trails or nature preserves, ticks can reside. Urban areas are not “safe” zones. 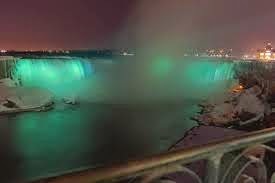 Lyme disease is on the rise in Canada, largely because public awareness, diagnosis and treatment have not been adequate. The first Canadian case of Lyme disease was recorded in 1977 when a southwestern Ontario girl was diagnosed with the disease, but Canadian officials have been slow to release the actual numbers of those suffering from the disease. 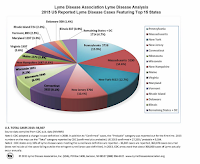 Lyme disease has been reported in over 80 other countries including Europe, Japan, China and Australia. The best way to avoid getting Lyme disease is prevention. If you’ve been outside all day, head to the shower within two hours of coming inside and check for ticks. Something to keep in mind when you wander the cemeteries this summer.